When it comes to puppy training, Rachel is a true expert. Running the Abbey Dog Training Centre in Swindon, she ensures complete care is taken to give each of her Puppy Socialisation clients the personal attention they need, which is why she limits her classes to just 4 dogs and owners. 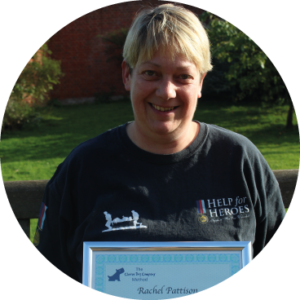 Sharing her home with three dogs herself, Rachel’s life really is about dogs inside and out! Rachel’s genuine passion is to help new owners connect with their pups and bond within those very early and important weeks and months of life together. Speak to Rachel about any aspect of puppy or adult dog life!